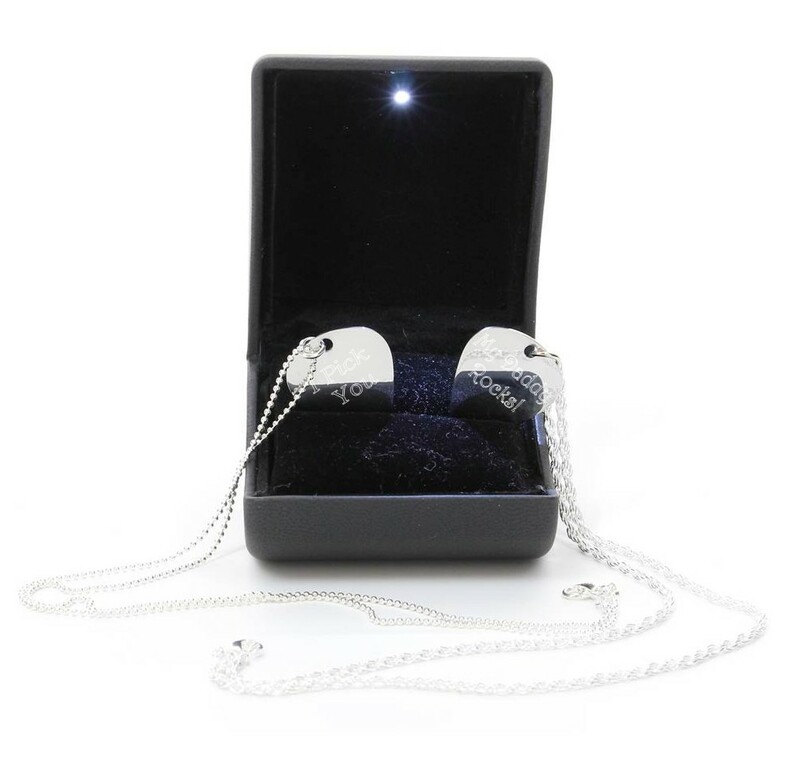 Personalised Engraved Silver Plated Guitar Plectrum/Pick with Necklace/Chain with an exclusive light presentation box and real led bulb. This unique gift measures 30 x 26 mm and you have the choice of a rope (18inch) or ball (22inch) chain. Please select your font preference by using the drop down list below.